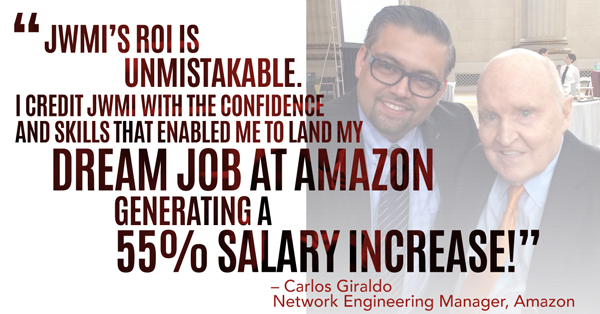 I lead global teams to deploy and scale the massive infrastructure that powers Amazon Web Services and Amazon.com. I oversee projects across multiple product areas, leading efforts to reduce project delivery timelines, optimize spend, minimize idle infrastructure capital, and implement automation and process improvement. My favorite part of being a people leader is developing, mentoring and molding the next generation of leaders. When I joined the program, I had been working for Verizon for over 15 years. I wanted to learn new skills that I could apply within in Verizon to improve the company and advance my career. My last five leadership roles were lateral moves with no salary increase outside of an annual raise. However, with the skills I acquired at JWMI, I began networking and started my job search one year earlier than initially planned. My studies allowed me to research and post discussions about companies I was interested in. This eventually provided me the opportunity to join my dream company, Amazon. Did you find the curriculum was immediately applicable, please explain? I used principles from my first class, Leadership in the 21st Century, to identify challenges causing my team to work ineffectively as a group during an off-site leadership meeting. I was able to gain trust among the team, which led us to execute successfully on our SuperBowl 49 sponsorship. Learning the fundamentals of representing data in a slide presentation, Financial Management 1, gave me the creditability and recognition to dive into the P&L, eventually finding cost savings from the prior year that we could capitalize. 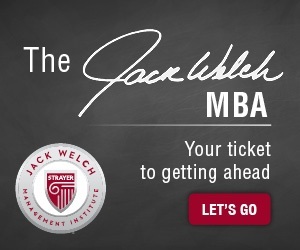 Looking back at what you thought about an online MBA program when you first embarked on the journey, what is your overall impression now? I was skeptical about an online program having previously tried another that was not the right fit for me. 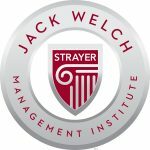 However, after just three short weeks into my Leadership in the 21st Century course at JWMI, I was hooked on the JWMI curriculum and principles. What resources were most valuable to you in the program? The Wall Street Journal, student discussion questions (DQs), and the JWMI curriculum were the most valuable to me. 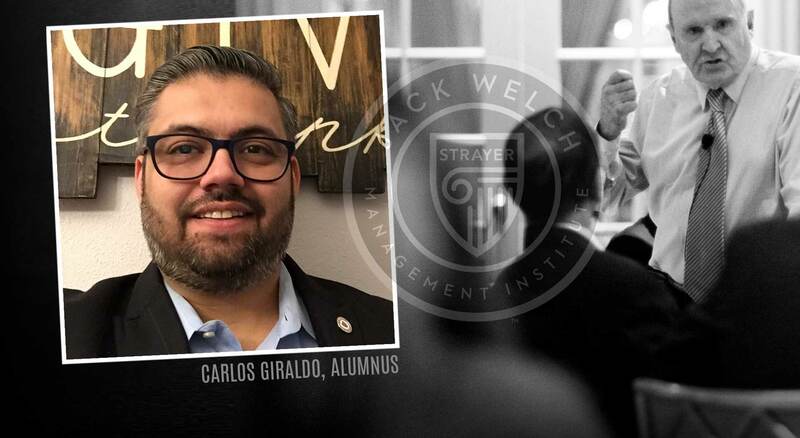 Also, my service on the Student and Alumni Advisory Board was a valuable experience which provided me the opportunity to meet other students and learn how professors are hired and mentored for success. This program has put a fire in my belly. I am more curious about all aspects of business. I enjoy reading the Wall Street Journal and many other sources of news to understand the environment, the changes in leadership, technology, and finances. I gained a more significant appreciation and understanding of my company’s quarterly results and the factors affecting them. In short, this program has provided me an opportunity to think strategically and to appreciate the ability to learn continuously. I am thankful for a very patient and supportive family. We began this journey one year after relocating to Arizona from the East Coast and would later go on to move states two more times. During this time, we also balanced work, serving in the church, fostering children, joining the student advisory board and finally welcoming the addition of our adopted daughter to the family. Early in my MBA journey, I focused on reading ahead and getting assignments in early. As life grew more hectic, that eventually shifted to just handing assignments in on time. A key to balancing the work is to take advantage of the weekends when assignments were not due and to make the most of your 3-week break between terms to be with family. Taking one class at a time allowed me to be able to commit to both my family, work, and school. The MBA degree is as much my family’s degree as it is mine. I couldn’t have done it without their support. Look for openings to identify areas of opportunities within your organization. You will have the tools to solve the problems as you go through each course. Believe in yourself. And look for others to encourage and motivate in their careers along the way. 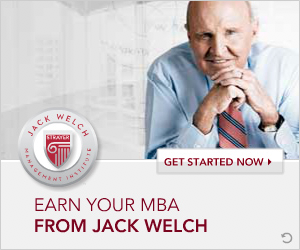 A Jack Welch MBA teaches you to invest in the human capital for the greatest rewards.